As we celebrate the 5th Annual African-American Read-In from February 4-8th hosted by the Oakland Public Education Fund we talked to two local Oakland authors who are participating in the read-in. The Oakland Literacy Coalition is a proud co-sponsor of the read-in. First up is Joy Elan, an award winning author and spoken word artist from Oakland and Berkeley, CA and author of “Silence Is Not Always Golden: The Power of Spoken Words”. 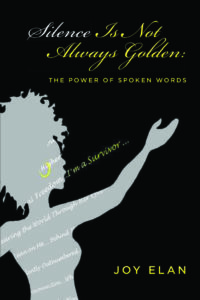 She uses her writing to advocate for civil rights for Blacks/people of color, women, and people with disabilities. With her poetry and novels, she speaks about social issues that affect people from locally to globally. Joy Elan received her BA degree in African American Studies at UC Berkeley and her MA degree in Education at Stanford University. She was born with a hearing loss and has been wearing hearing aids since she was 15 months. Despite the obstacles she faced, she overcame many of them and continues to overcome obstacles. What is your favorite thing about reading aloud? I love it when I interact with the audience and bring my words to life. It’s a great way to share what I do and show people that it’s possible. If people were to read your book in a classroom what tips would you give? To have an open mind and be ready to break down the metaphors, especially in my poetry. I use a lot of references to other art forms (music, movies, literature, visual, etc). People may have to research what I might be referring to. Do you have a favorite children’s book written by an African American author? (Sighs) I have a few, but one that I can truly say is a new favorite, One Crazy Summer by Rita Williams-Garcia. I read that with my daughter and we were somewhat able to relate to it because it took place in West Oakland and we were very familiar about what the characters experienced in the late 1960s. It was great to read a story that occurred in our city in a 5th grade novel. 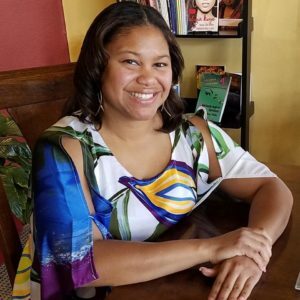 Next up is Tiffany Anderson, a California native, mother of three, and author of the children’s book “I Love my Natural Hair”. 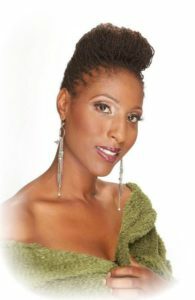 She has been working in the beauty industry for over a decade specializing in natural hair care. 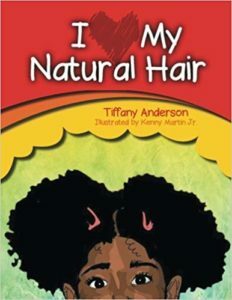 Tiffany was inspired by her daughter to create a natural hair children’s book. She feels it is important to let little girls know at an early age how beautiful they are without extensions. Tiffany believes that once you see confident, positive images of yourself it will diminish negative stereo types society highlights. My favorite thing about reading out loud is the excitement and the honesty the kids give to hearing the book being read. If people were to read my book aloud the tip I would give would be to ask questions as they read the book to engage the kids. My favorite children’s book right now is “ I’m A Pretty Little Black Girl” by Betty K. Bynum.